Sufficient precautions will be taken against rusting, pitting and deterioration during the shipment and storage. After the completion of the machines, customers can dispatch technician to our company to test it. After testified to be qualified, 70% T/T remaining payment before loading the products. 1. 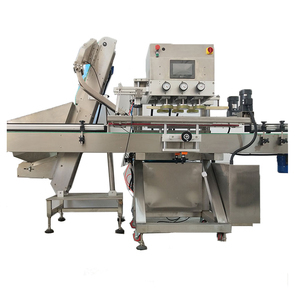 Technical parameter and summary: FXZ-1 automatic capping machine is single-head 6 working places and production capacity is 2,000 pcs/hour. 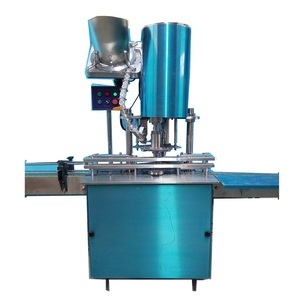 Volume: 500ml-3000ml Size: 1100X1000X1950 Weight: 600kg automatic capping machine connects with transporter conveyor and filling machine in line. 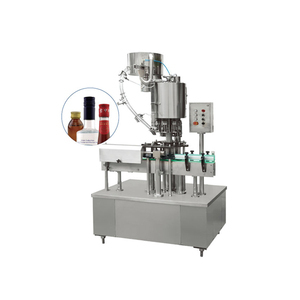 Bottle is transported to filling machine by conveyor belt, automatic cap-dropping equipment drops cap very well to seal cap. 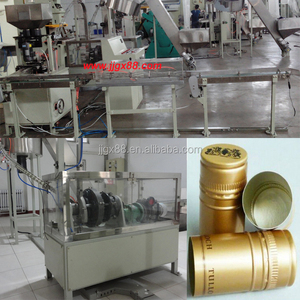 4. press the bottle cap, then rolling thread and reduced side sealing function. 5. expand the scope of use, can be used for aluminum caps, plastic caps, cans sealing cap. 6. compact structure, stable operation, low noise, low power consumption, easy operation and adjustment, high efficiency, good sealing quality advantages. 2.Machine comes with average continuous lifting device ,within working range,it can be used for various metal round cap. A favorable choice of logistic company from our customer is accepted. Complainment Any comments, suggestions are appreciated from our customers. Guangzhou Rijing Automation Machinery Co., Ltd. Features 1. Improved performance 1) High automation degree, f ull automatic, easy operation, lighter weight, smarter size, it save space, water, material, power and labor. 2. Meet national package machinery standards It complys with food safety sandards, the machine main material is SS304. It comply with national electrical & low noise standards. 4.Self research and custormer oriented design We ourselves have a creative and professional technical&research team. 2. Adaptable to all kinds of shapes of bottles, easy to set up. 4. No damage to the bottle itself, no restrict on height or width. 5. Concise and well designed machine structure, easy to maintain. 2. 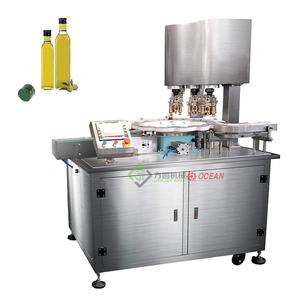 The wine bottle ropp capping machine is suitable for alcohol, chemical industry, medicine, cosmetics. 3. 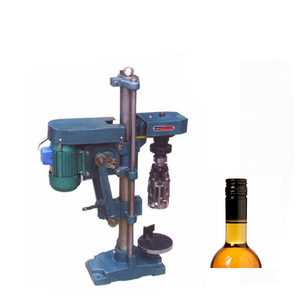 F unction of wine bottle ropp capping machine : sealing and making the screw thread. 4. 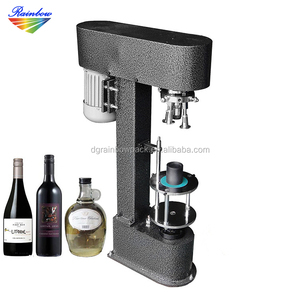 The rotating knife on the wine bottle ropp capping machine down to the cap top tightly by the energy of the motor, complete the cap lock together with the locking deivice. 1. Our company was started in 1992, we can offer the most professional packing schemes to guests all over the globe. Q: How can I know your machine works well9 A: Before delivery, we shall test the machine working condition for you. Q: How can I know your machine is designed for my product9 A: You can send us samples of your product and we test it on machine. Alibaba.com offers 1,186 ropp capping machine products. About 62% of these are capping machines. A wide variety of ropp capping machine options are available to you, such as beverage, chemical, and food. You can also choose from glass, metal, and wood. As well as from bottles, cartons. 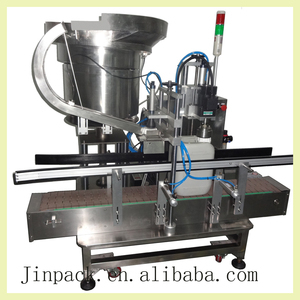 And whether ropp capping machine is electric, or pneumatic. 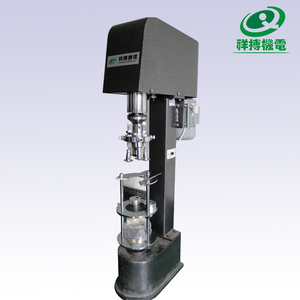 There are 1,115 ropp capping machine suppliers, mainly located in Asia. The top supplying countries are China (Mainland), India, and Taiwan, which supply 92%, 4%, and 1% of ropp capping machine respectively. 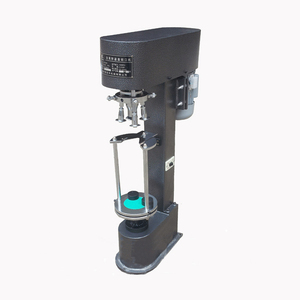 Ropp capping machine products are most popular in Domestic Market, Southeast Asia, and Africa. You can ensure product safety by selecting from certified suppliers, including 185 with ISO9001, 50 with Other, and 2 with OHSAS18001 certification.